Sesco Safety provides custom work platforms based on a simple modular concept allowing platforms to be designed and delivered in days instead of weeks. A properly designed work platform provides not only a safe means to access work areas at heights, but also increases productivity. Sesco Safety provides custom work platforms based on a simple modular concept. Our platforms are essentially constructed out of pipe, pipe fittings, stair treads and grating. The simplicity of our work platform construction allows for platforms to be designed and delivered in days instead of weeks. Traditional welded construction work platforms require extensive up front design, engineering and drafting work before they can even be fabricated. Fabrication of a custom platform is also very costly and time consuming. Our work platforms have all the benefits of a custom fabricated work platform without all of the complicated design, fabrication and cost. Due to the modular construction our work platforms can also be broken down if necessary for transport, to fit in an elevator or constructed in hard to access areas. 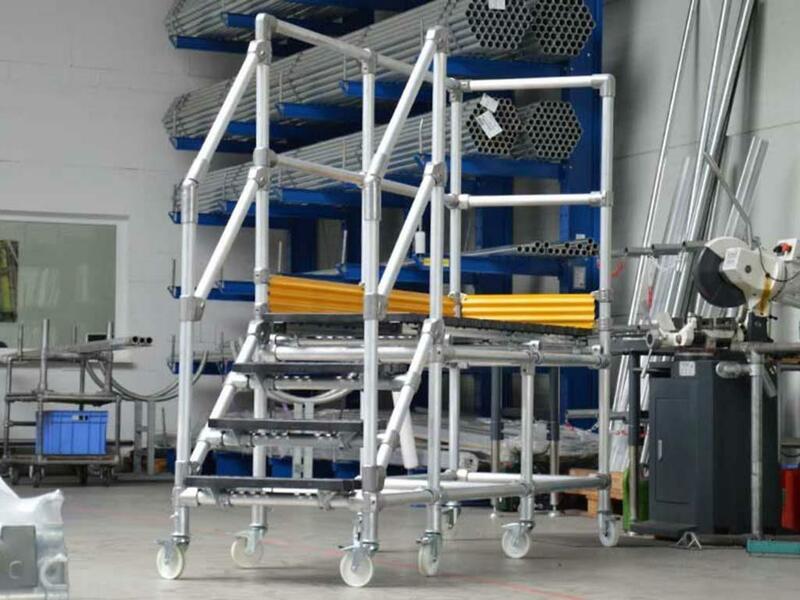 Our work platforms are comparable to scaffolding, but with superior up front design to provide better, safer access and protection while the work is taking place. Let our Work Platform design team help you create a cost effective, easy to install access solution. Wheels or Caster for mobility. Components can be reused or repurposed.